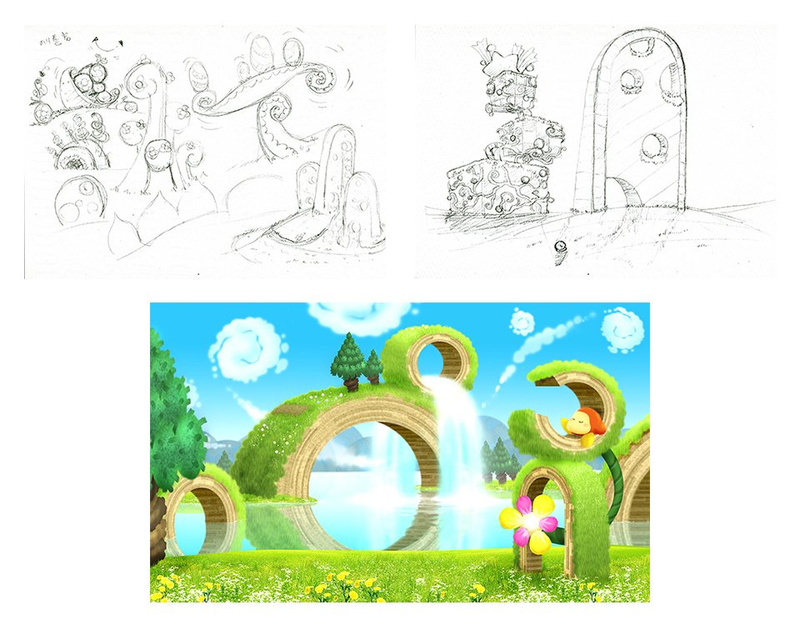 We've seen numerous pieces of concept art for a wide variety of games over the past few months - including a darker take on Zelda: Breath of the Wild, early King K. Rool designs, and even Nintendo's very own take on Bowsette - and now Nintendo has given us a look at some of the ideas put forward for Kirby Star Allies. The images above and below arrive courtesy of Nintendo of Europe's official Twitter account, where a nice selection of grassland ideas are shown. Nintendo says that "various directions were considered, and gradually they became the amazingly peaceful grassland stages in the game". We're particularly keen on the style shown at the bottom of the second image. If you need a quick reminder, or if you're yet to pick up a copy of the game for yourself, here's what that very area looks like in the final product. It's clear that many of the characteristics of those early designs made the cut, even if the style itself saw slight changes along the way. Do you like the cutesy art style of Kirby Star Allies? Would you change anything about its artistic direction if you had the chance? Tell us below. It's a lovely looking game just sadly the gameplay feels very like treading water. @Pazuzu666 physically exhausting and boring? The game may have been a slight step backwards in its difficulty and overall simplicity, but it’s impossible to deny that it was gorgeous to look at. And as a celebration of over 25 years of Kirby games, it sure was loaded with fan service and nostalgia. @jhewitt3476 It was definitely a disappointing effort. I was constantly ditching my allies to try to make the game more difficult. I recently bought a fisher price toy but I resold it after completing it really quickly. I even wore boxing gloves to make it more difficult to play, but I still ploughed through it. Since it was first announce... Ive always loved how the Kirby on switch looked!.... I just wish they would throw an update to make the game.... Well harder for anyone over 5 years in age. But I guess that would be to much to ask, and would have to wait for the sequal, as 'extreme mode' for its selling point. I liked the game, but at first I didn't even realize I actually beat the main story, I thought it was just something like Bowser does, he'll hop in for a quick fight from time to time, have his shell handed to him, then onto another level, but no, I was like ?? ?, then it opened up two extra worlds after all was said and done and at first I was, "ok, I was worried for a minute", but again, I stomped through them like I was on some boss rush thing, but not on purpose, then was hoping there was a third extra world......nope, just have a nice day, you got screwed, ha ha. 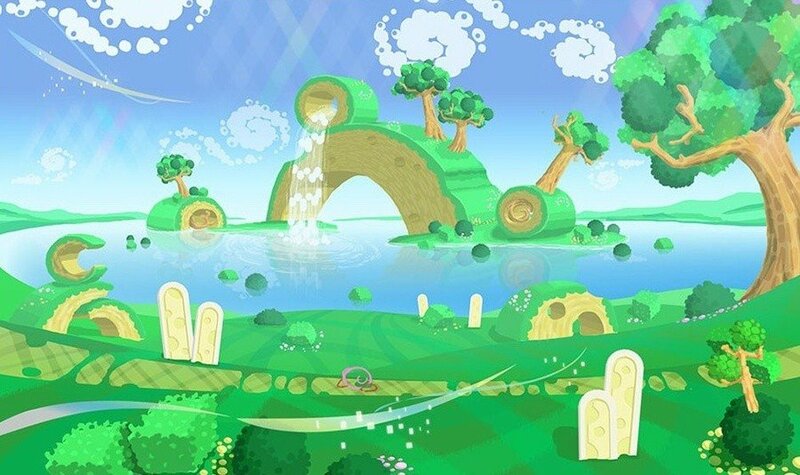 Really happy that Rainbow Curse, Planet Robobot, and Star Allies have been embracing some thoroughly inventive environment designs. Epic Yarn was great too. There was a handful of Kirby games where the environments really felt uninspired, like the art direction had just been "make it pastel". @jhewitt3476 the game has actually been really well supported after launch. So far it's had 2 free dlc batch's released, with 2 more apparently on the way. And not only did they add new charcters, but they've also made big changes to the guest star mode. In that every dream friend (the special ones) have a ton of new levels added to their guest star quests that they feel almost unique. With the exception of boss stages of course. But all in all with the support its been getting its well worth 60$ now, and it's only getting better. 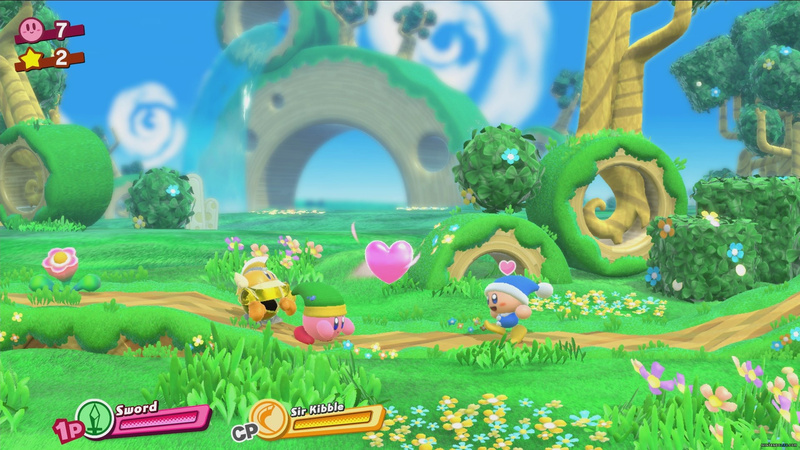 Hmm seeing a Kirby game with a detailed background so far in the distance is a pretty cool idea. Although I can see why they didn't include it probably due to it making Kirby too small on the tablet screen. But I'd have preferred more content, more actual levels, perhaps alternative routes or a less linear overworld, as opposed to challenge modes and boss runs. I've completed over 90% of all the content I believe... And it is fun... for the most part. But like others say, it was too easy, and there simply wasn't enough content. I think this game was really meant to be a 4-player co-op experience to the point where playing through it as a single player was almost akin to "playing it wrong." Oh well. The only main Kirby game I ever played was 64, which I still love to this day, although I think a lot of people hate that game? So maybe I'm just not an actual Kirby fan? I don't know. I was very pleased with Star Allies. Artstyle included. It was Kirby doing Kirby, that's all I wanted. The allies system was the twist this time around and I enjoyed that. While I think the 3ds games were better, I don't have much negative to say about Star Allies. I never expect Kirby games to be hard, outside of maybe the True Arena sort of things. Plenty of fanservice for an anniversary game. Fun to play with friends. The dlc characters are really cool and have made my most played mode Guest Allies to see all the little things they do for the returning characters/bosses. I absolutely loved it. I am decently good at Pokemon and strategy games, but I always was terrible at platformers, so the lower overall difficulty suits me well. The Kirby art style is my all time favorite. 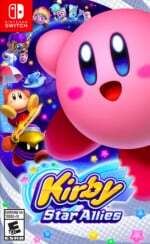 For those who say it is too easy: Good for you if you are that good, but there are so many games...why don't you play Hollow Knight if you want a challenge...there is something for everyone...We all know that Kirby always has been ( and is designed to be) one of the less difficult games.